Sometimes something happens with your print drivers and you need to download the new ones from the server. If you log into the print server and adjust the drivers on a shared printer, the new driver will automagically be distributed everyone who already has the printer shared. If the computer already has the driver downloaded, it will assume it knows better than you and use printer driver it already has. This can be an issue if the reason you are changing the driver is because of corruption, or if the print driver on the local machine is damaged. Other times, the computer will get confused with driver versions and will simply continue to use what it thinks is the right driver when it is, in fact, not the right driver at all. 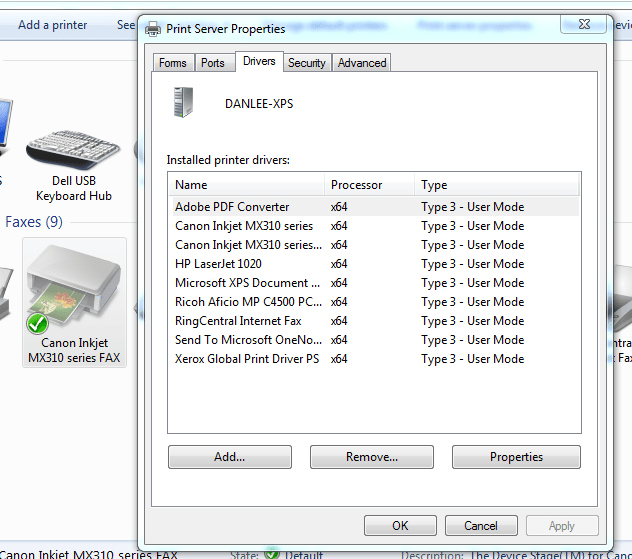 Head to Start > Devices and Printers > Highlight the Printer in Question > Click on Print Server Properties at the top. Click on the Drivers tab and delete the driver you’d like to refresh. Afterwards, for good measure, delete the printer you just highlighted. Add the printer back the way you would normally add a printer back, either by using the Add Printer wizard or by browsing out to the server and double clicking the printer. Let me know if this helps you out or if you have found other things.